The power nap for many people is a pleasure and also a need. But often there is no time for such a luxury. Many people feel bad and stressed when they take a power nap in the afternoon while others work. It has spread the impression that a power nap is a sign of laziness and also that it prevents good sleep and creates insomnia during the night. A series of data obtained in recent years show that people have a biological need to power nap in the middle of the day. As the human body needs sleep at night it also needs sleep during the day. A power nap has no adverse effects on the duration and quality of sleep. In short the human brain, is somehow biologically programmed for both sleep periods without any negative interaction. The biological need for a power nap, when met, has beneficial effects among both the young and elderly. Chronic sleep loss leads to attention problems, concentration problems, data processing speed problems, short-term memory and decision-making problems. Indeed, the chronic sleep deprivation is a risk factor for developing obesity and diabetes. The people that are feeling sleepy continuously with difficulty restraining their eyes open must … «Wake up» to realize that they are not sleeping enough, thereby damaging their health. In such cases a quick power nap during the day can prove very beneficial. In young adults, a power nap increases and improves mental alertness and preparedness. Researchers looked at 32 people aged from 55 to 85 years and studied the effects of a power nap in their mental abilities. Participants in the survey were presented with a series of tests of mental control skills when they could not sleep in the afternoon and when they had the opportunity to take a power nap. Also, something very interesting, even the next day their performance in the tests and their intellectual skills were better if they had a power nap the previous afternoon. A power nap can affect the night sleep? So we see that the biological need for sleep in the afternoon and evening is not accidental. The human brain and the rest of the body benefit from a power nap, they become invigorated and effective. Under ideal conditions, those who have poor night’s sleep must change their program to include 7-8 hours of sleep during 24 hours. If this is not possible, then they must seek to have a short power nap. A power nap for those people will be especially refreshing and relaxing. Do you take a power nap? You should not be fighting the biological clock, particularly if you have taken a heavy meal. It is good to have a short power nap, even five to ten minutes rest is enough to renew. There is much evidence that the force that a power nap can give you is useful in the office and beneficial for life and driving. The duration of a power nap should not be longer than 20 minutes. Try to include in your daily schedule a convenient time (preferably before the afternoon) and make sure that the room you will rest will be dark and quiet. For the majority of people a power nap for about 10-20 minutes is enough. When the power nap lasts longer then when you wake up you may have feelings of disorientation and instability. To avoid this it is suggested to put an alarm so as not to sleep deeply. For most people (there is a significant variation from person to person) there are two periods where their power is at a peak, the latter is greater. The first occurs after the morning awakening, but begins to fall before lunchtime. If the meal is good, it is very difficult for those who have enjoyed their launch to keep their eyes open and concentrate during the afternoon. Even without a quick nap, most people start repents 3-4 in the afternoon. The second energy period is for most people the most efficient, physically and mentally period of the day. The experts recommend taking a power nap between 2pm and 4pm. It is not suggested to take a power nap after 5pm. Taking a quick power nap at work, for a few minutes, can improve the capacity of your memory. 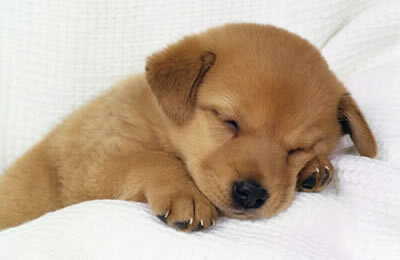 A brief power nap refreshes the brain and can improve your concentration, awareness and the efficiency of your memory. It appeared that a power nap of only six minutes might have the same effect on memory as an overnight rest. Researchers asked students to memorize a list of words and tested their ability to recall them from their memory after an hour of playing solitaire. The students had to remember 30 words. They let the students rest for an hour before passing the memory test. During the break some of the students slept for six minutes while the others stayed awake. The scientists showed that those who slept for a while showed exceptional memory skills compared with those who stayed awake. It is known that with increasing age, people sleep less at night, which is not good for their health. In the elderly a power nap can substitute the deficit of not sleeping at night. The satisfaction of the biological need for a power nap, improves the physical and mental state, is fruitful for the workers but also for the economy in general. There are so many reasons to power nap! Great piece, I just wish that I could fall asleep so easily! Gotta learn to turn the brain off! A good articles. Building a sustainable blog had take a lot of my time and sometime till late night. I think I would take a powernap now.